Beryl Markham was the first woman to fly solo across the Atlantic from East to West. Circling the Sun joins her on the historic flight, the relentless turning of the propeller “Slicing through the years, turning me backward and also endlessly forward, setting me free”. From there we are flung back to Kenya at the turn of the last century and into her fictionalised life story. Growing up motherless and untamed on a horse farm, when she turns sixteen her world implodes as her father’s farm goes bust and he heads off for South Africa. Left with a choice of going with him or marrying, she plunges into a disastrous marriage. Had Beryl been meek and dowdy there would be no story but thankfully she is beautiful and plucky and so sets about becoming the first female racehorse trainer in Kenya. More adventures follow, she befriends Karen Blixen of Out of Africa fame and naturally falls for her lover Denys Finch Hatton. The three of them become entangled in what seems to be a good natured love triangle but Blixen gets here revenge when she omits Markham from her famous account of the love affair. Fiction this may be but you have to remind yourself of this at the end of every chapter. 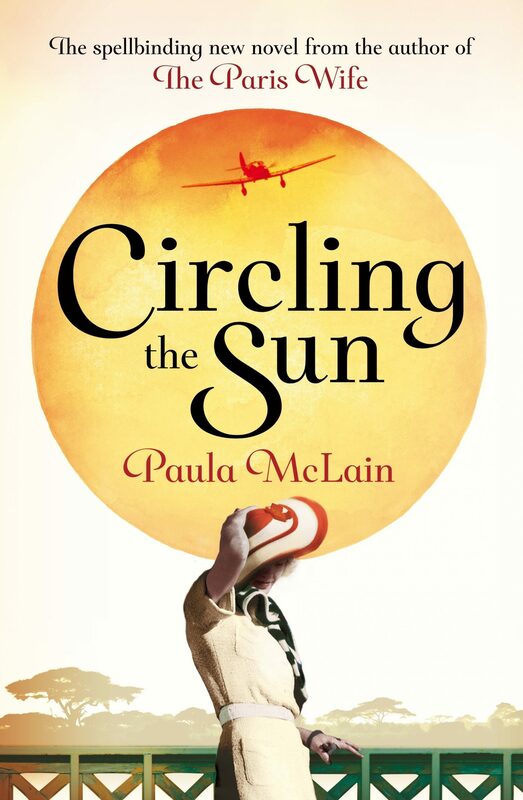 Paula McLain has mimicked the voice of Beryl Markham very convincingly. Kenya is the real star of the show, the red earth, steep sides of the Rift Valley, Mount Kenya looming over every thing. At times the action moves to London but these scenes lack the vividness of the Kenyan ones, almost as if Beryl loses sparkle when not being burnished by the African sun. All in all an excellent read. Disclaimer: I was sent an electronic ARC by NetGalley in return for an honest review. I read a biography of Markham, “Straight On Till Morning” and was fascinated by her story. I am so glad to hear of this book and will get it as soon as it is available at my local library. She had an amazing life!